Missing In Action is a Cartoon Invasion: Than all of a sudden Mr. Skurge came along and jacked one of Fray and Tay's Beats from the Cartoon about Head Bop / Nod what have you and we turned into a cartoon. Watch a silly American cartoon from the #raygun81 series following the life of characters "Fray and Tay" and all of their American Poverty friends doing nothing and not serving any purpose due to endless congress unemployment. Watch as nothing happens after years of trying, bad education and poor eating habits. See the American Poverty stricken guys look for work, believe in nothing and don't gain any money ever. Hip-hop/R&B songstress Toni Hill brings a refreshment returning to the "Black Love" feeling in "Coffee Shop". Just a good reminder of all the different styles in the cup. The OFFICIAL #UKRapUp2013 by Mystro aka @MysDiggi & @BlackEinstein. 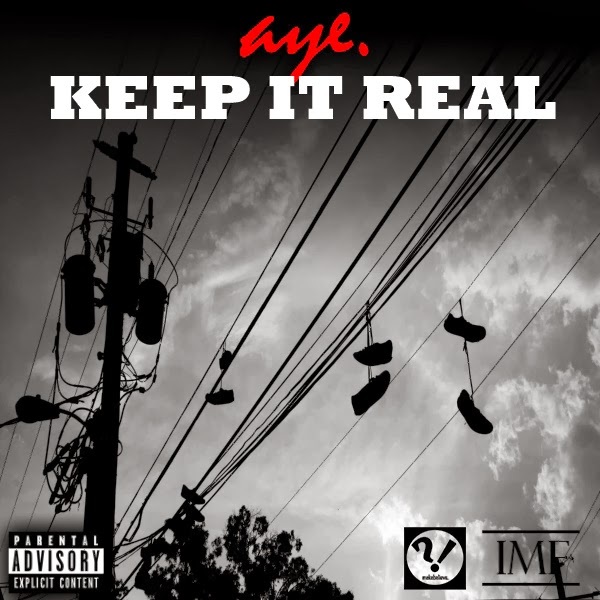 Artwork by @DJEssDee please like/share/comment Mutha Luvaz..
Keep It Real [SINGLE] by A.Y.E. Brooklyn MC VNova drops a straight to video release for the Intro to his highly anticipated street album "Hidden in Plain Sight Volume 2" (HIPS2). The track is produced by Frequency. The video is edited and directed by VNova & Wit. Hidden in Plain Sight Volume 2 will be out in January.